Close to 255! 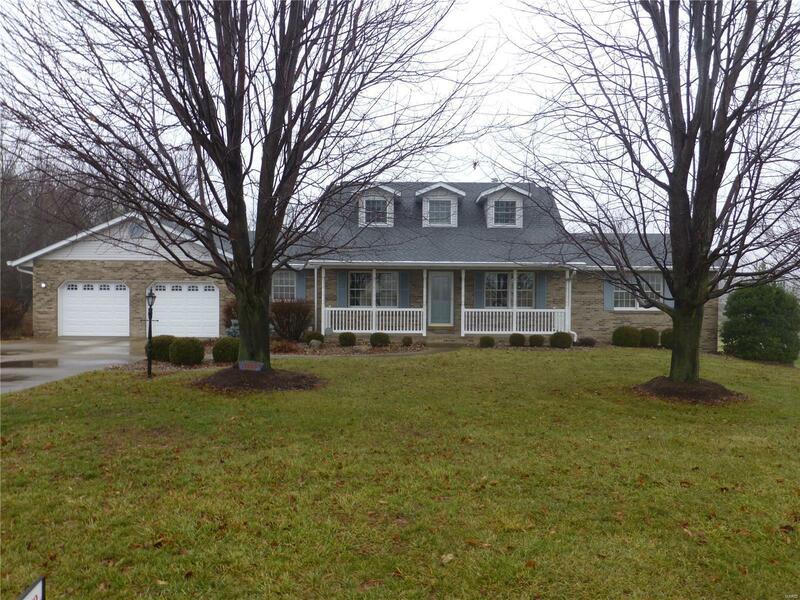 Move right into this beautiful, 1.5 story home with 2.5 acre lakefront property. Well-maintained by original owners and in immaculate condition. From the entryway, rich hardwood floors pave the way to a family room with a fireplace and a spacious master suite. To the left, the dining room, breakfast nook, and kitchen flow together to create a large gathering area or comfortable everyday living with plenty of natural light. Upstairs are two generous bedrooms with oversized walk-in closets and a master bath. From the roomy back deck and sunroom, enjoy a gorgeous view of the lake and massive backyard. This can also be viewed from the oversized, walkout family room on the lower level. There is also, a large, unfinished storage room in the basement, an oversized 2-car attached garage, and a main level laundry room. Roof replaced 2013, New, zoned A/C and furnace in 2010. New gas water heater in 2008. Buried propane tank. Water softener and fixed gas grill. Copyright 2019, Mid America Regional Information Systems, Inc.(MARIS). All rights reserved. does not display the entire IDX database of Mid America Regional Information Systems, Inc. (MARIS MLS) on this web site. Property listings of some REALTOR® brokerage firms have been excluded. Listings displaying the MARIS logo are courtesy of the participants of Mid America Regional Information Systems Internet Data Exchange. Information provided deemed to be reliable but is not guaranteed to be accurate. Buyers are advised to verify all facts before making a decision on purchasing a property. No warranties, expressed or implied, are provided for the data herein, or for their use or interpretation by the user. Mid America Regional information Systems, Inc. (MARIS) will not be held responsibility for the content of such records. Last Updated On: 2019-04-22.